Jamie has spent most of the last 15 years working in the Aboriginal communities in the Luritja-Pintupi area, in various roles, starting off in the community store in Mt Liebig, but also including roles in essential services, youth work and more recently as Shire Services Manager in Papunya, and Training Manager at Papunya Community Store. Jamie is well-known in the region, and in particular has made strong connections with male elders in the western desert communities, as he spent much of his free time learning woodcraft techniques and cultural expectations around how traditional tools are used. 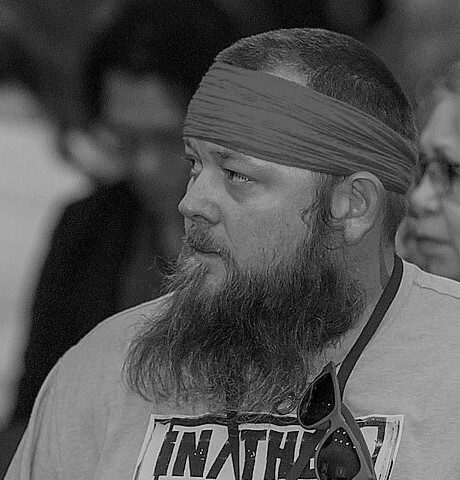 Having been treated as part of the tribe for so many years, Jamie holds high regard for the Aboriginal people in the western desert region, and is particularly committed to the future well-being of the Luritja-Pintupi people.